Sea turtles spend almost their entire lives in the water and it is only the female that ventures onto land – and then only to lay her eggs. The leatherback turtle shown at our pristine Virgin Gorda, is one of a species that is by far the biggest of the sea turtles. This one might be 400 kilograms or so. Such a weighty creature is at a disadvantage out of the water. The proximity of so many people whilst she is attempting to lay eggs could be a source of distress for her. 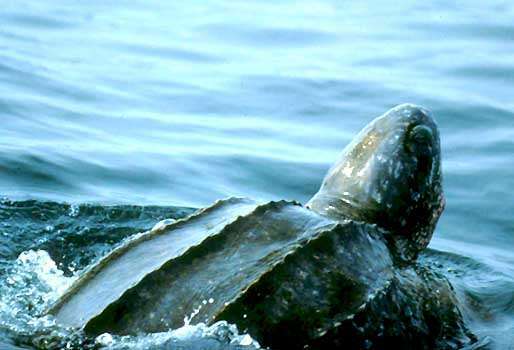 A young woman in the video is seen to drip water onto the turtle’s head and body. Whilst this well-meaning gesture is clearly intended to give the turtle some relief from the hot sun, the proximity of the person and the dripping of the water may distress the turtle. She is only going to be on land for an hour or so and doesn’t need to be cooled as a beached whale or dolphin might. 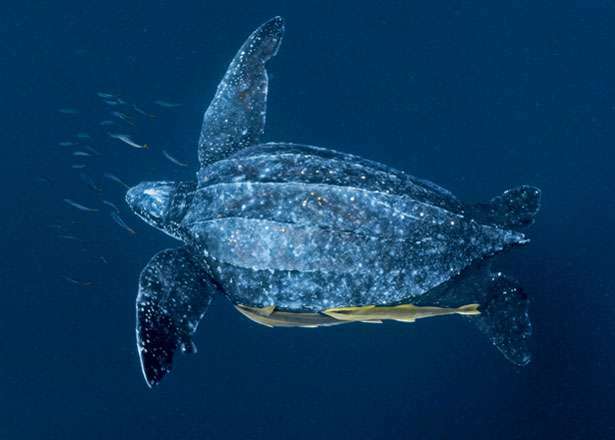 It’s good to remember that turtles such as this leatherback have evolved a way of reproducing, that has lasted them about 90 million years so far and are not reliant on people to assist in the process. 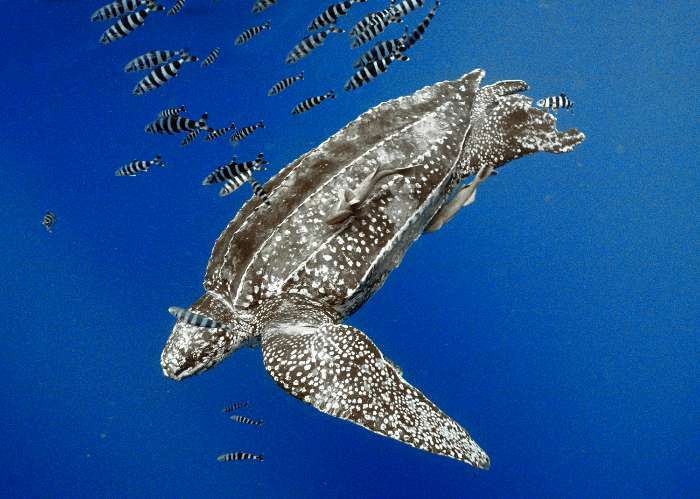 In fact, people are a hindrance to most wild animals and the leatherback, along with virtually every other turtle species, is considered highly endangered as a result of the intrusion of humans onto their habitat. The best thing to do when close to a turtle on land, is to give it lots of room; remain quiet, move slowly and cautiously, and allow nature to take its course.